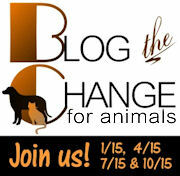 Today we join bloggers worldwide to Blog the Change for Animals. Why did we choose this infographic today? Because next week is National Volunteer Week and this graphic points out the very critical role that volunteers play in their local shelters. Truly, the care of our shelter animals cannot be done without the effort of volunteers - and you can see in part why this is so in the graphic below. HumaneWatch published this back in November 2012 when the HSUS released their 2012 tax info. And since today is Tax Day in the U.S., we thought it was timely. We're not saying the HSUS isn't doing some good somewhere. (and we're also not saying we support the HSUS either!) We are simply pointing out that their efforts are not directly impacting your local shelter financially. Those shelters depend on you. 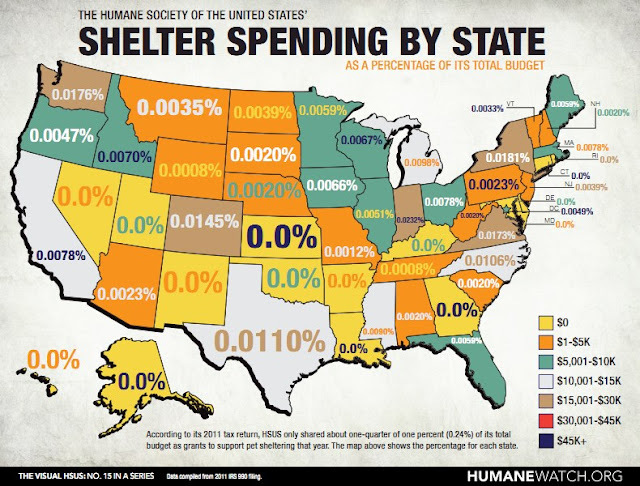 According to HumaneWatch, only 1% of the Humane Society's budget helps local pet shelters. HumaneWatch also encourages you to donate locally. I don't think the stats would be any better over here sadly. Have a marvelous Monday. Wow, that is shocking. And disappointing. Sometimes I wish our local chapter would break away. They have to hold fund raisers throghout the year in order to keep going. I know in many areas they do not have a good reputation, but I think our local one does pretty good. Could they do better - yes, but they have made great strides in recent years. I never donate on a national level, but will donate locally. good post. we tell everyone we know - support locally....you know where your money is going and can see the results!! This is so surprising. Thanks for the info. What do they spend all the money on? If only they did help local shelters, what a difference they could make. 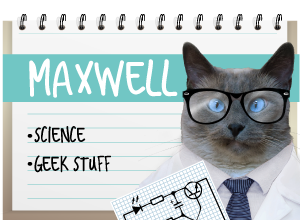 They do good in other areas by spotlighting issues and distributing information, but not necessarily hands-on, with animals. Humans always think that the HSUS is there to help local "Humane Societies," but that's not really their purpose. 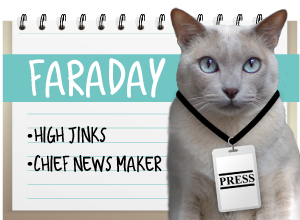 They are watchdogs for industries, they lobby for pro-animal legislation, and they help animals saved from hoarding situations. If you want to help these important causes, then DO donate to the HSUS. But you should also support your local shelters, "Humane Society" or other. I think both approaches are important. OMC! We can comment..after weeks of trying but not being able to! We hope this note finds all of you well :) And we hope more and more people decide to volunteer to help animals over the years. Volunteering can save lives. Truly! Yep, when the budget crisis hit, the shelters got hit. Last year, I did a BtC4A tying it into how animals are effected and this is certainly one way. If a State has to cut its budget, it's not going to cut Police or Firemen, it's going to cut aid to shelters and Animal Control. I hate to say it, but big business charities are just that, big business. As is most levels of governments. Living in a small village we really feel the impact. Our village runs on volunteers. Without the people who volunteer, many many thing would not happen anywhere. I've always thought of the HSUS as more of a political/legal organization, advocating for the protection and humane treatment of all animals. We need enforceable anti-cruelty laws to protect animals. They do get a 4* rating from charity navigator, so if the HSUS's activities are something you support, they're probably a good place to donate. Local shelters and rescues always need support too, and that's more for the hands-on care of local animals in need. Don't donate to the ASPCA and think your money is being spent locally, it's not. Donate directly to your local shelter. 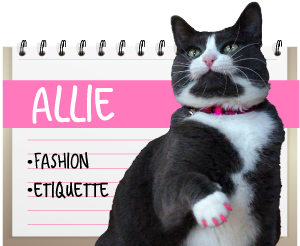 We agree with Sparkle & Indulged Furries. We're not saying HSUS is bad because they don't give to local shelters. And national issues do need to be addressed by a group somewhere, somehow. We're just not convinced the HSUS is that organization. And then please, let us know your thoughts on the issue. We'd love to hear from you! Sparkle,Induged Furries and Maxwell, Faraday and Allie have the right idea. HSUS was *never* meant to have a mission beyond pro-animal and anti-cruelty legislation. Also, they have nothing to do with your local "humane society" - that is just an identifying phrase and does not signify a national organization with representation in cities across the country. People get that idea from their often misleading commercials that make it seem as if they care for all the animals they confiscate in dog fighting and hoarding busts. I'm shocked by how many people DON'T know that the HSUS is not affliliated with their local humane society. I also tell people "Give locally to help locally." But I don't Sarah McLachlan's haunting voice, so nobody listens to me! The 14 amendment is to protect Americans from this dictive org. "Read agenda 21" and you will see who the H$U$ realy is.